Part of my plan for this homeschool year was to start getting online more with my nine year old. Part of that has been doing math online and another part, an important part in our world now, was finding and implementing an online typing practice. Something that she could practice after other online lessons were finished for the day, and that she could navigate on her own. The bonus was finding one that was also free. After doing a Google search I came across KidzType, a free online program to teach children how to type. It is simple to use typing program that doesn’t require a sign in, which with so many different sites requiring sign in information I welcomed a site that doesn’t require me to remember another, nor have to have her try to remember on her own. KidzType is a free site that can be used from any desktop computer or laptop, making it perfect for homeschooling families on the go. 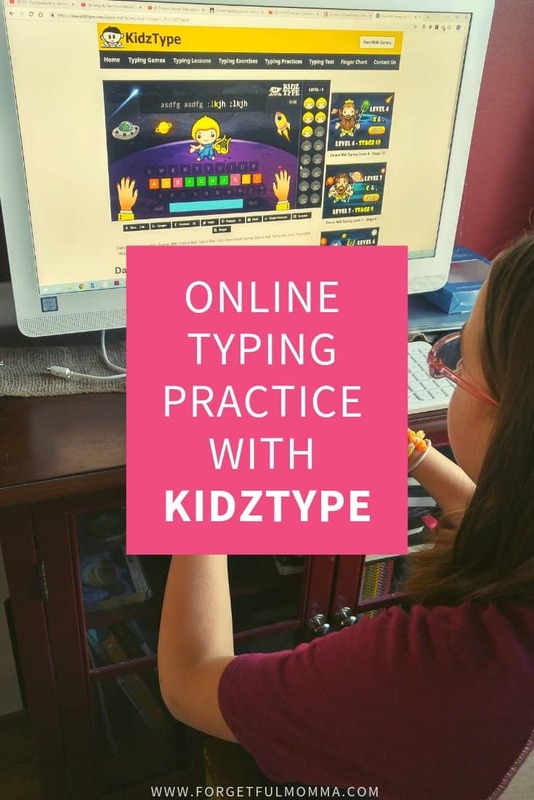 As long as you have internet connection your child can practice their typing skills on KidzType. This means that while we’re at the library or a relatives house, your child can practice typing through the lessons or the games. One thing that stands out for me with KidzType is how they have different levels focusing on different letters. For example Lesson 1 Stage 1 focuses on the home row, while Lesson 1 Stage 2 focuses on the home row plus E & I. I really like this because then she is learning to add just a couple letters to what she has learned previously instead of having to remember the whole keyboard right off bat which can be overwhelming. 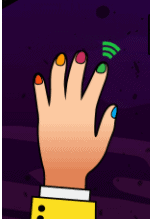 While in each lesson, as your child is typing, they show which finger should be hitting each key. This helps keep your child using the correct finger and hand placement. Your child can practice as much as needed and getting their word per minute typing skills up. Just sitting up straight at the computer and typing the letters that appear jumbled on the screen can get to be repetitive and not the funnest. 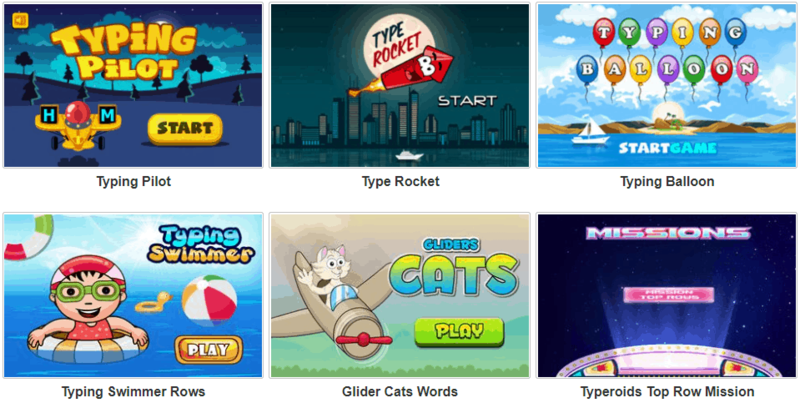 But KidzType has that covered with a large assortment of free games that kids can play to practice their skills. There is the balloon popping game for younger children, and some vampire games for older children. Does your child feel as though they mastered typing? Head over to their sister site TypeDojo to test their skills and get a certificate stating their skills. Choose from one of three typing timed tests – one minute, three or five minutes, your child’s certificate will show their typing speed and accuracy for the time they chose. Make that you bookmark these great sites on your child’s computer so they don’t forget to go play their free typing games.